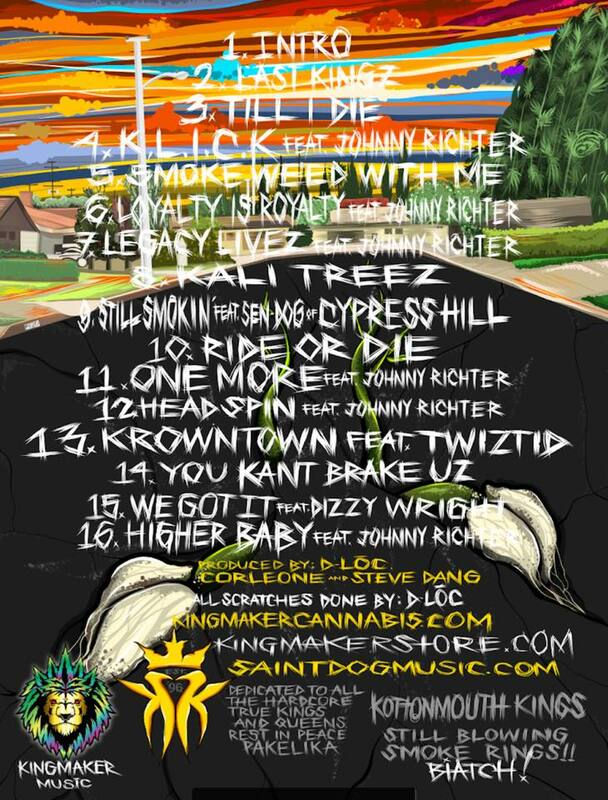 Radio420™: KottonMouth Kings “Kingdom Come” Track List Revealed! Out this Friday, 4/20! KottonMouth Kings “Kingdom Come” Track List Revealed! Out this Friday, 4/20! Late last night, the homie D-Loc of the Kottonmouth Kings released the full track list for their upcoming album: Kingdom Come! If you haven’t been following, Kingdom Come drops in just 2 days, on Friday, April 20th! You can still pick up album pre-order packages by going to KingmakerStore.com! The album itself is $10.99 and t-shirt packages start as low as $27.99! Don’t sleep on this one!